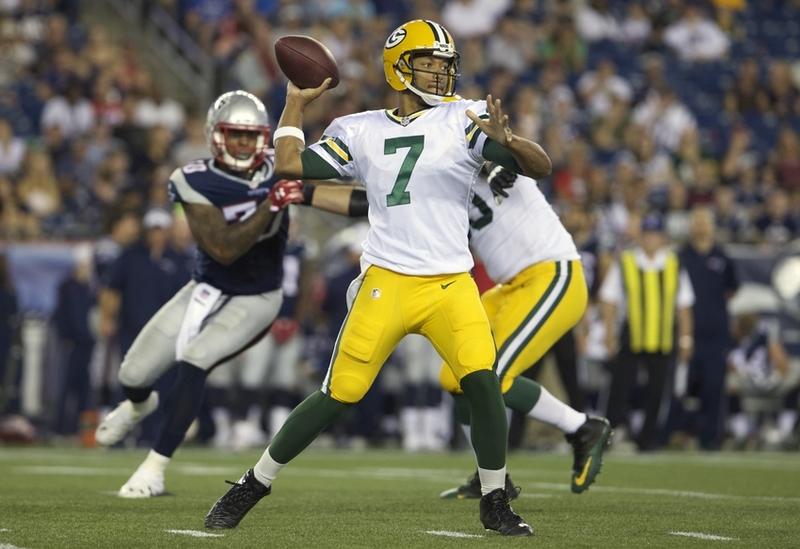 Brett Hundley is an American professional football player who plays in the National Football League (NFL). As of 2019, Brett Alan Hundley Jr. currently plays for the Arizona Cardinals as their quarterback. Brett Alan Hundley Jr. has played for other teams like Green Bay Packers. As a quarterback, Brett Alan Hundley Jr. reportedly earns around $1,125,000 as his yearly salary from Arizona Cardinals. Further, Brett Alan Hundley Jr. has an estimated net worth of over $2.5 million. As of 2019, Brett Alan Hundley Jr. has an estimated net worth of over $2.5 million. Currently under a 1 year, $1,875,000 contract with the Arizona Cardinals, in 2019, Hundley will earn a base salary of $1,125,000, a signing bonus of $600,000 and a roster bonus of $150,000, while carrying a cap hit of $1,875,000. He previously signed a 4-year contract with Green Bay Packers worth $2,503,633 in 2015 with an average salary of $625,908. He has so far has made earnings of $2.5 million from his entire NFL career. Other than being a famous NFL quarterback, Brett Alan Hundley Jr. is pretty famous in social media. He has 133k Instagram followers and 54.5k Twitter followers. Who is Brett Hundley Married to? Brett Hundley was happily married to Dawnielle Baucham. However, there are rumors that the couple is on the verge of getting a divorce as his wife has reportedly filed for divorce in 2018 after 2 years of marriage. The couple met at UCLA where Baucham majored in philosophy and minored in music. The couple started dating in 2012 and tied the knot on July 8, 2016, in Santa Barbara. They don't have any children yet. His spouse, Dawnielle is a singer also known as Dionne Anylah. Baucham was born on November 19th, 1993 and attended Junipero Serra High School. She further was a track and field athlete at the University. Brett Alan Hundley Jr. is not only a world-class athlete but also has a very attractive individual. The famous NFL star is 6 feet 3 inches in height and weighs around 102 kg. Brett Alan Hundley Jr. was born on June 15, 1993, in Phoenix, Arizona to parents, Brett Hundley, Sr. and April Hundley. As per his nationality, he is American and belongs to the Afro-American ethnic group. Further, his star sign is Gemini. He grew up along with his siblings, Paris Hundley, and Tatum Hundley. Brett Alan Hundley Jr. attended Chandler High School in Chandler, Arizona where he played for his high school football team. After completing high school, Brett Alan Hundley Jr. enrolled at UCLA and played for the UCLA Bruins. 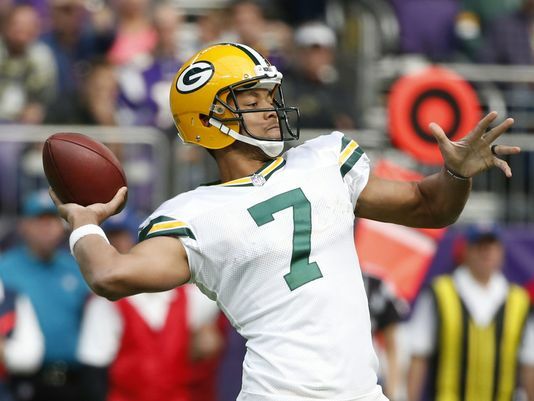 Brett Hundley was selected by the Green Bay Packers in the fifth round of the 2015 NFL Draft with the 147th overall pick. In May 2015, the Packers officially signed Hundley to a four-year deal. During the first quarter of the Week 6 game against the Minnesota Vikings on October 15, 2017, Aaron Rodgers suffered a broken collarbone and Hundley then entered the game, completing 18-of-33 passes for 157 yards, one touchdown, and three interceptions. In his first start against the New Orleans Saints, he recorded 12 completions on 25 attempts for just 87 yards, zero touchdowns, an interception. Hundley had 245 yards passing and a rushing touchdown in a game against Detroit in Week 9. He recorded 18 of 25 passing for 212 yards, 0 interceptions, and his first 100+ passer rating as a starter in a win over Chicago. During Week 13 against the Tampa Bay Buccaneers, Hundley recorded only 84 passing yards and an interception and he rushed for 66 yards with the Packers combining for 199 rushing yards and winning 26–20 in overtime. In the last game of the season, Hundley had 172 passing yards, one touchdown, and two interceptions in a game against the Detroit Lions. Overall, Hundley finished the 2017 season with 1,836 passing yards, nine touchdowns, 12 interceptions, 270 rushing yards, and two rushing touchdowns. In August 2018, he was traded to the Seattle Seahawks for a sixth-round pick in the 2019 NFL Draft.